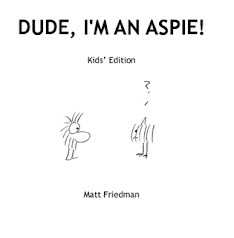 Dude, I'm An Aspie! Kids' Edition is now available in paperback! 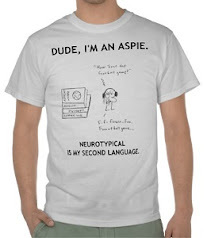 Looking for a way to explain your child’s Asperger's traits to others in a way that’s clear, positive and fun? Just give 'em this book. 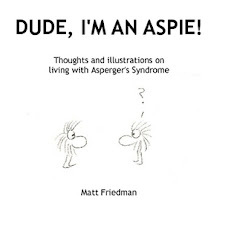 As an autistic person, I like to talk about autism with cartoons, because it’s easier than using words. 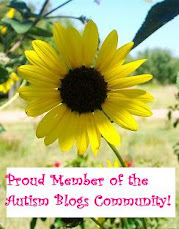 It helps people understand where I’m coming from, and I hope it does the same for you. This 38-page book, containing this post, plus a new introduction, is perfect for kids, parents, teachers, or professionals. Pick yours up today! You can also get it as an eBook. And, don't forget, you can still get the original edition of Dude in paperback or as an eBook!